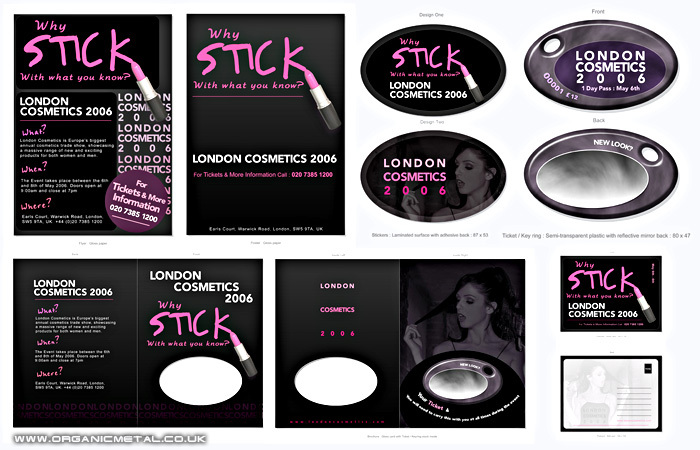 A series of materials were produced to promote a conceptual cosmetics event held in London. After coming up with the 'Why stick with what you know?' theme, it was applied to: flyer, poster, stickers, postcard, brochure with attached key-ring ticket (with mirror). Continuity throughout the campaign needed to be considered.